This stylish and timeless yacht accommodates up to 10 guests in 5 well appointed staterooms with a must see sundeck and jacuzzi that owners and guests will love! Attitude was recently refit with a refreshed interior, adding key features attractive for all guests to enjoy. Her amenities include an entertaining jacuzzi with bar, new exterior dining table and many water toys including 4 jet skis! More Yachts of Trinity Shipyard here! 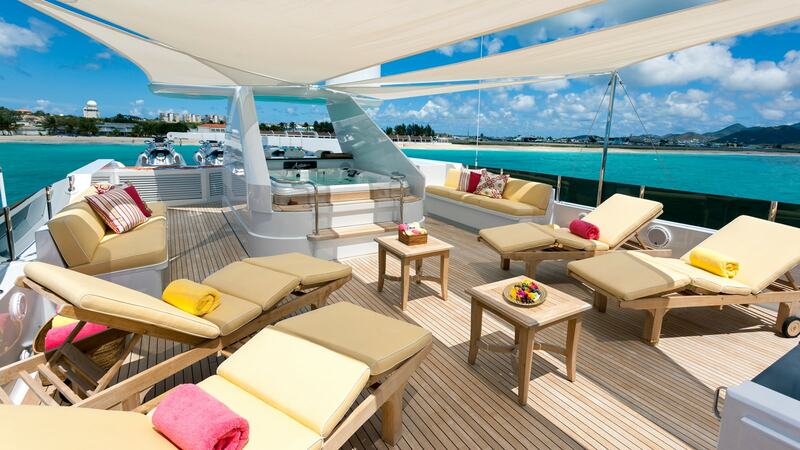 Attitude boasts a beautiful, spacious sundeck ideal for entertaining. 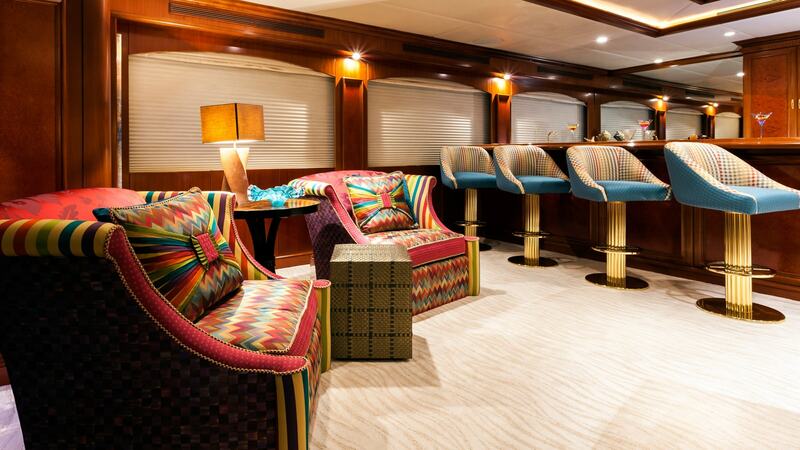 It includes lounges, a Jacuzzi with wet bar and 3 bar stools and an optional “sail” awnings for shade. 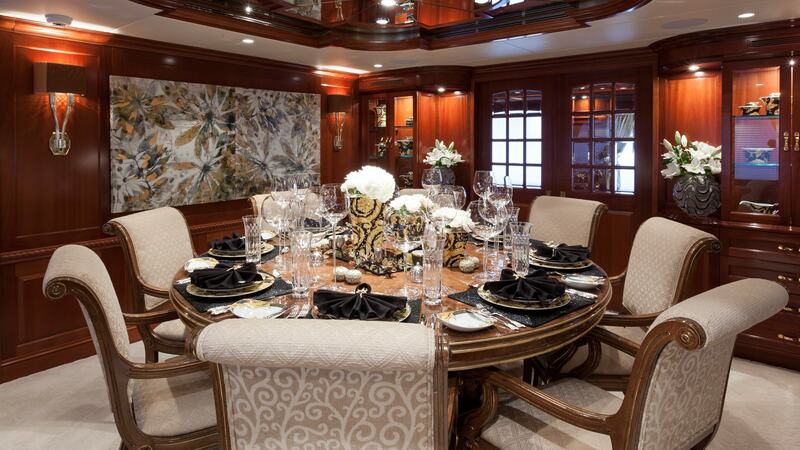 Designed with entertaining in mind, Attitude features several dining areas onboard. Her owner and guests can enjoy a quiet breakfast on the main deck, an alfresco lunch at the round table on the Bridge Deck Aft with seating for up to 12 guests, or a formal dinner in the private Dining Room. 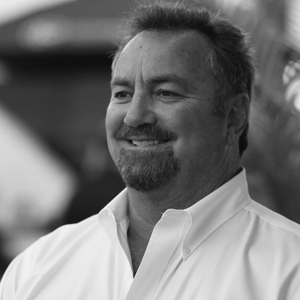 Mark Elliott was born in Miami, and quickly developed a passion for sailing. At 18, he delivered a 48’ Grand Banks from Miami to Alaska and subsequently earned his Captain’s license. At 24, he met Bernie Little and went on to Captain and manage the most successful fleet of charter yachts afloat for 18 years. As General Manager of Florida Yacht Basin he developed the shipyard into the largest megayacht paint and repair facility on the East Coast. Next, Mark took over the Allied Marine Shipyard, a Hatteras, Azimut and Benetti dealership with over $30 million in inventory and 110 employees. 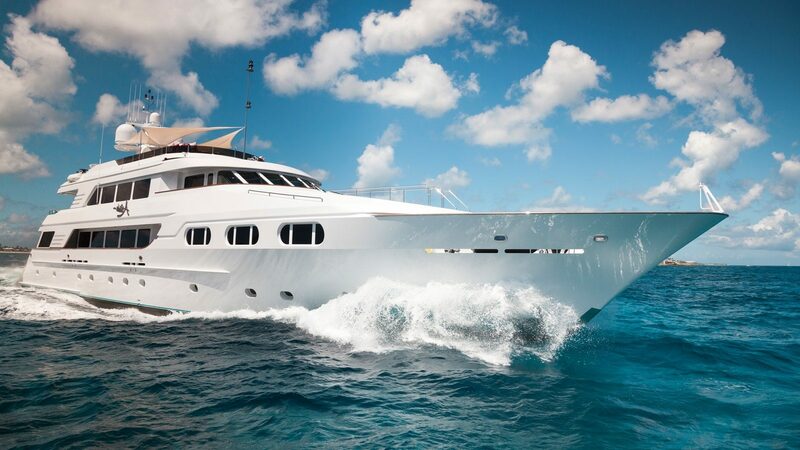 With over 20 years of running and managing yachts, Mark turned his attention to selling and marketing them with IYC. His insight, experience and advice are some of the most valuable in the industry, and part of what makes IYC an ideal yacht consultancy.